Those in the West Palm Beach area who are interested in buying new and used boats are in for a real treat. Boating is one of Florida’s most enjoyable and practical pastimes. In these harsh economic times, certain boating companies still understand the idea that we all need a little leisure in our lives. 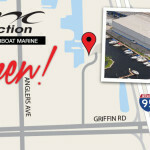 For this reason, you’ll find many new and used boats in West Palm Beach at affordable prices. You’ll enjoy flexible payment options on a wide variety of select boats. There is sure to be some incredible boats that you’ll like to browse in the West Palm Beach area. Glasstream powerboats are one of the main features for sale in the West Palm Beach area at Marine Connection. These fantastic boats are the ideal fit for the avid boaters everywhere. The most practical use of these stylish, comfortable boats is for fishing. A true sea fisherman will feel right at home in a brand new Glasstream boat, especially the 17 CCR Center Console model. All of your fishing fantasies and dreams will be realized with the help of these incredible boats. Many hours of hard work and dedication go into the careful crafting of each of these beautiful boats. These fishing boats bring all of the best attributes a fishing boat can have into one impressive boat: style, value, performance and unwavering quality. The Glasstream boats provide a smooth, safe and dry ride with exceptional speed, due to its cutting-edge design. 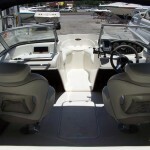 Another great selection of boats for sale is brought to you by the Stingray boats company. This quickly-growing company of boat-builders brings all of the highest-quality boats to the top of the boating industry. You can enjoy several unique models of boats from Stingray. You’ll have the boat with the best performance on the water if you choose to own any of Stingray’s impressive boats, including the 185 LX Bowrider, which combines excellent performance with only the best quality. The beautiful 185 LX Bowrider is powered by an efficient Mercury 3.0L MPI 135 HP motor. The 208 LR Bowrider is another impressive product from Stingray. Brought to you at a very fair price for its real value, the 208 LR Bowrider is the ideal boat for a weekend family retreat. There is plenty of room for the whole family and all of your good snacks and accessories as well. You’ll truly enjoy the masterful crafting that is put into each and every Stingray boat. Whether you want a fishing boat, deck boat or party boat, Stingray has exactly what you’re looking for. The West Palm Beach area has never seen anything like the boating extravaganza going on right now. Some of the best boats in the entire world for sale are available there at premium prices. Head on down to Marine Connection and browse the unbelievable selection of Glasstream boats, Stingray boats and more. 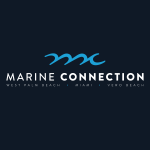 Visit Marine Connection today! NOW SHOWING: 2013 Contender 25 Tournament! 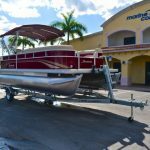 New dealer for Pioneer Boats in South Florida!